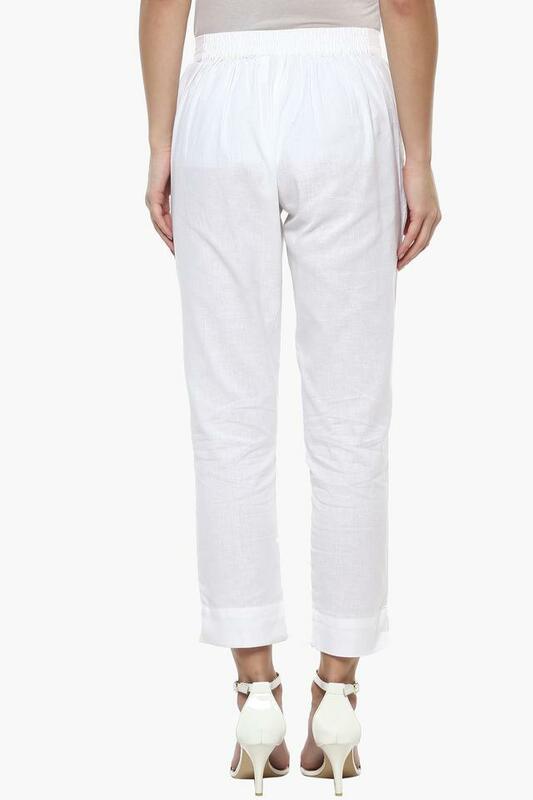 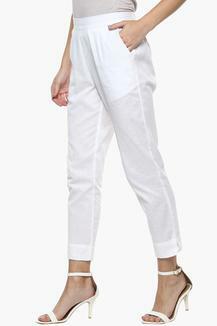 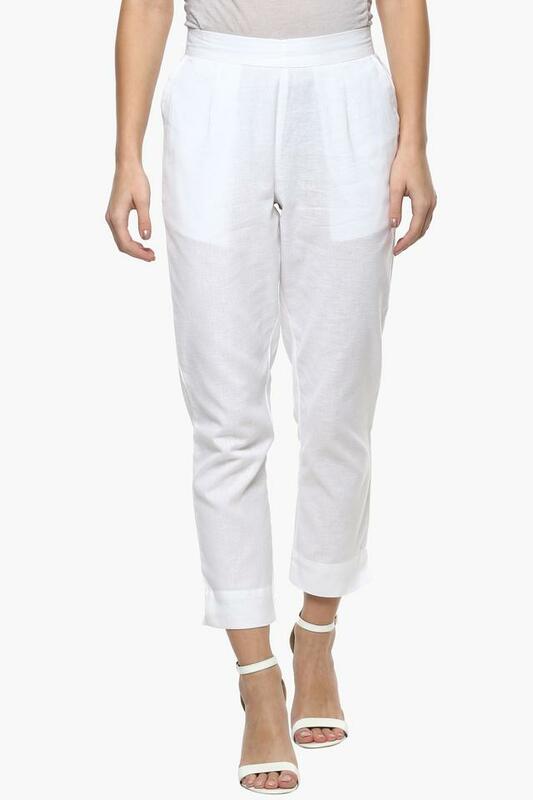 Give yourself an ultra-modern casual look with this pair of pants from Aurelia. It features a solid pattern along with that renders it trendy and further gives it some edge. 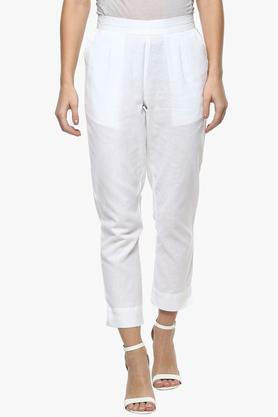 Besides, it promises to offer you maximum breathability, as it is tailored with cotton fabric.